Early detection and management of glaucoma can help prevent patients losing their sight, say City University London researchers. Glaucoma - a group of eye diseases which cause progressive damage to the optic nerve - affect around 2% of people over 40 and almost 10% of those over 75, leading to more than a million hospital visits every year. Once somebody loses sight through glaucoma it can't be restored, so early detection and appropriate management is crucial. Uncertainty and inconsistency in clinical practice mean not all patients get the best possible care, so researchers from City have been exploring new ways to improve assessment, awareness and treatment. 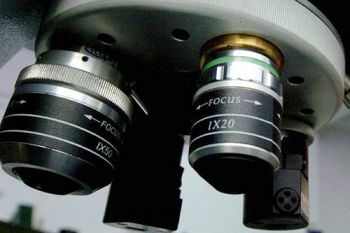 City's Professor David Crabb has highlighted the limitations of standard techniques to detect glaucoma, leading to the jointly-developed Moorfields Motion Displacement Test (MDT). The MDT won the Medical Research Council's translational research innovation award 2008 and was one of the Research Councils UK's Big Ideas for the Future in 2011. Professor Crabb's work with the University of Aberdeen has also changed how the NHS monitors patients at risk of glaucoma, and his videos of patients' eye movements during driving simulations have been used by the BBC and the International Glaucoma Association to raise awareness. More recently published research has explored the clinical and cost effectiveness of different monitoring intervals for glaucoma. Glaucoma-related hospital visits are a major burden on the NHS, and making greater use of community optometrists could create significant savings. With this in mind, City's Professor David Edgar and David Parkins from Bexley Care Trust collaborated on a project encouraging community optometrists to conduct repeat measurements on patients with suspected glaucoma before referring them to hospital. The results were dramatic. After repeat measurements, 76% of patients no longer needed referrals, meaning major cost savings for the NHS of up to Â£10 million per year. Based on this, NHS London has rolled out a repeat-measures scheme across South East London and it's been adopted in schemes across England. Professor Edgar, along with Professor John Lawrenson and the Institute of Optometry, has also worked on projects creating a realistic picture of optometric practice. The idea was to establish if differences exist between competent, real-world care and guidelines for professional conduct. The project used standardised patients (SPs) - actors who play the role of patients and report on the clinician's practice. Widely used in medicine, they'd never before been used in optometry. It showed that SPs were very effective and their wider use should be considered. Differences between actual practice and clinical guidelines were fed into training recommendations. 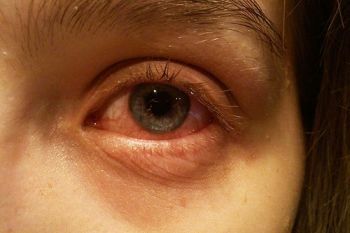 The findings have also been central to several recent legal cases, proving the clinician acted as a significant body of competent optometrists would, even if not as per guidelines. Another project led by Professor Lawrenson drew on his expertise in developing competency frameworks using the Delphi consensus technique. Guidelines produced by the National Institute for Health and Care Excellence (NICE) recommend that healthcare professionals involved in glaucoma care should have a specialist qualification, so the College of Optometrists commissioned Professor Lawrenson's team to develop a competency framework and curriculum for specialist training, which is now the national standard. Professor Lawrenson has led on the development of evidence-based Clinical Management Guidelines, which have been adopted by the College of Optometrists and have informed national pathways for managing eye disease. Research by Professor Lawrenson also found that many community optometrists were managing a whole range of eye conditions with a limited number of medicines. He gathered their views on extended prescribing and his findings helped shape the Commission for Human Medicines' decision to allow optometrists' additional prescribing responsibilities, thereby increasing the benefits they offer patients. In Collaboration with Professor Roger Buckley from Anglia Ruskin University, Professor Lawrenson has also led on the development of evidence-based Clinical Management Guidelines, which have been adopted by the College of Optometrists and have informed national pathways for managing eye disease. City's research has enhanced the understanding, diagnosis and care of glaucoma. It has enabled National Institute for Health Research (NIHR) funding to directly contribute to award-winning, globally-adopted technology, as well as help shape guidelines and training, set standards, create cost savings and, crucially, improve services for patients.